The Moon: will be 42° high in the SW at 9pm, and 36% illuminated (Waxing Crescent phase). 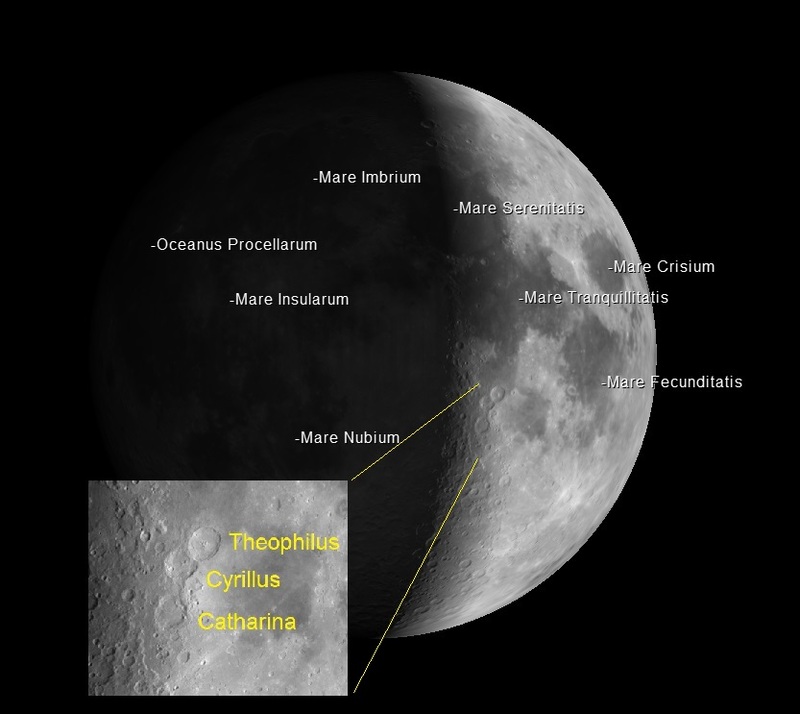 The triple crater formation of Theophilus, Cyrillus, and Catharina is near the terminator tonight, each crater is about 60 miles across. 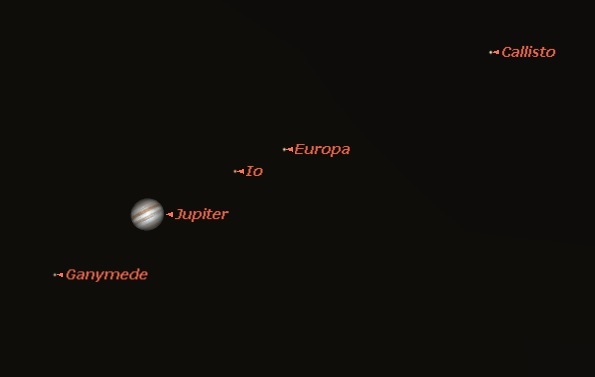 Planets: Jupiter will be very low in the East, rising to 20 degrees altitude by 11pm. Although this is too low in the sky for observation with the observatory telescopes, it’s major satellites and a couple of cloud bands would be visible with any telescopes set up outside. Image courtesy of Starry Night (R) Orion Special Edition, Version: 6.2.3 kcEW, Imaginova (R) Corp.